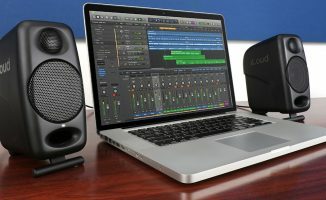 We spotted the new iLoud MTM Monitors desktop monitor speakers from IK Multimedia here at NAMM 2019. 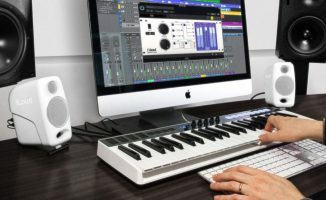 They are the biggest monitors in the company’s range, but they’re still small compared to traditional monitors – think oversized desktop monitors. 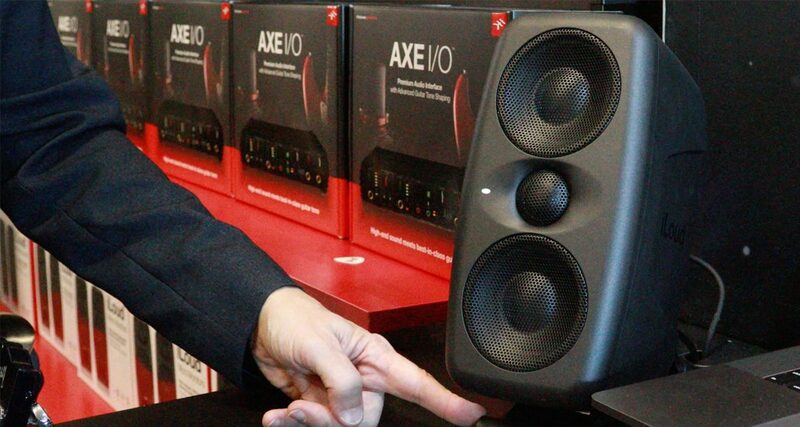 Due to the speakers’ sizing, the company has been able to add decent front feet to raise the units to point up towards the listener, and the extra length of the cabinets allows for more speakers in each. Unlike their smaller cousins in the IK Multimedia range, the iLoud Micro, these are individually powered and amplified, pushing 100W out each. They have rear base reflex ports too. Each speaker also has its own DSP on board, which can take care of tailoring the sound for whatever room you set it up in. It does this by means of a supplied microphone which you plug in and hold in your listening position, and from which the speaker’s DSP alters the properties of the audio subtly to optimise it. 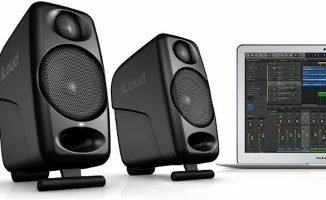 • The iLoud MTM monitors will cost €349.99 each and are due Q2 2019. What are your thoughts on these monitors? Want them for your studio? Let us know in the comments. 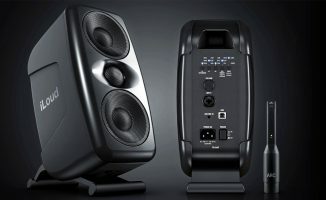 How much will the iLoud MTM monitors be in Canadian dollars?